Energizer (ENR) stock is up 15% this morning based on a corporate action that is long overdue; the company is splitting itself into two separate and distinct public companies. 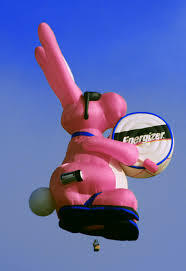 Energizer contains products within two segments; household products (batteries) and personal care (razors, shaving, skin care, feminine care). Going forward, the stock will be split into two stocks enabling the market to place a separate valuation on each business. This is a good thing for Energizer investors, particularly today! The batteries category (Energizer, Eveready) isn’t a very good one. Margins are high (and have been historically) as a simple/commoditized product is sold with brand based pricing power. The disposable battery business is a good one from a margin, cash flow generation, and return on capital standpoint. But the battery segment has seen its best days. The unstoppable secular trend is for more batteries to be embedded in products. The Energizer brand matters more at a checkout counter than it does for a manufacturer selecting embedded battery specifications. Supporting concerns on the battery business, organic sales within this category declined for 4 of the past 5 years. Higher pricing often doesn’t stick, and pricing has been unable to offset declines in volume. The household personal care segment is a wonderful segment full of #1 and #2 market share brands within shaving, skin care, and feminine care. A partial list of brands includes: Schick, Edge, Hawaiian Tropic, Banana Boat, and Playtex. Personal care organic sales rose for nine consecutive years. The segment has characteristics which are similar to highly valued consumer product companies like Clorox (CLX), Kimberly Clark (KMB), and Proctor & Gamble (PG). These stocks all trade at high valuations (18-20x EPS). The personal care side is weaker than this article would lead you to believe. Skincare has been flat or down since they acquired it. Suncare brands both loosing share and space, new products fall flat. 30% of suncare is typically new items, they have yet to launch a winner. serial brand buyers who cannot build the brands. Excellent points PL. But therein may lie some of the opportunity here – strategic buyers may be attracted to the personal care brands because they are strong brands with the potential to be managed better. Personal care could be acquired without the albatross that is the battery business. The battery business may be of interest to private equity buyers who believe in an ability to model the decline rate of the battery industry. Playtex and many of the suncare brands have indeed been under-performers/mis-managed. I would point out that the shaving brands, after a period of under-performance for several years have been managed considerably better over the past 4-years.